The most recent post to Wayfaring Woman over at The Agora: The Central Hub for the Patheos Pagan Channel went live earlier today. You can check it out here. Ay while I come home again. In the wee hours, I stood at the door between worlds; I closed my eyes and stepped through. When I opened them I was standing in the living room of a two-story house of modest size. As I walked toward the stairs I could hear my feet on the floor boards and feel the slide of my dress against my outer thigh. But most acutely I could sense that I wasn’t alone in the house. I cautiously made my way up the stairs. Near the top of the staircase I called my fylgja to perch on my shoulder and we moved to one of the upstairs rooms where I found a tall man dressed in black standing near a fireplace. He wore the 17th century’s finest and had a glimmer in his eye as fiery bright as an ember. I knew that the man was more than he seemed. Every foot of gut in me screamed Devil. I was afraid, not of what he would do but of what he could do. I was also curious. Fear and curiosity are a well-known and often felt emotional brew for witches and spirit-workers in my experience. And so, standing before the Man in Black – the Devil himself – I respected my fear of him, and also indulged my curiosity. I circled him slowly and with my fylgja perched on my shoulder I posed a number of questions. My time between the worlds has taught me not to be shy about refusing to make assumptions about exactly who and what I am taking to. When asked, he said that he is a keeper of secrets and that he intends to pass a portion of those secrets on to me. His eyes seemed to shimmer and dance. His presence was strong and true. When I asked the man why, he answered that the wisdom he has must be passed on and preserved. We conversed for a while longer. After my exchange with the Man in Black, I turned my head and saw a woman standing in the doorway. As she approached, again my fylgja was at the ready and I was circling with questions. In an instant her entire appearance changed: her clothing and her eyes waxed red as blood. She referred to herself as the Red Lady. And, growing wild inside the fireplace, I saw a bunch of beautiful purple trumpet-shaped flowers. The flowers had not been there during my interchange with the Devil. Intuition said that these flowers could be used to seek her out and call her nigh. We conversed for a while and then she pulled me back into everyday consciousness. My instinct tells me that I spoke with the Witch-Father and Witch-Mother. The interaction was steeped in a fare bit of imagery traditionally associated with them and it was also steeped in magical bits that represent the core tools of their operation. I have a ton of research to do in combination with divination in order to learn more about what this encounter means for me overall. I am sure that I will write as much as possible about this journey as it unfolds. As you may recall, my fylgia (aka fetch) travels between the worlds in Barn Owl form. 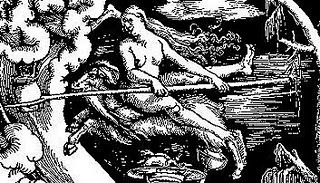 The fylgja is conceptualized as a guardian spirit but also as a soul-part, reflecting a bit of the person’s personality. Diana Paxson discusses the fylgja and other soul-parts here. Since beginning our work together several years ago, I have come to rely on the services that Barn Owl provides for me in the Otherworlds. He most commonly serves as my protector and as my guide. I shared a few reflections on his work in those roles very early in our work together. You can find that post here. As protector he has helped me to identify dangers while traveling, before they become a problem. 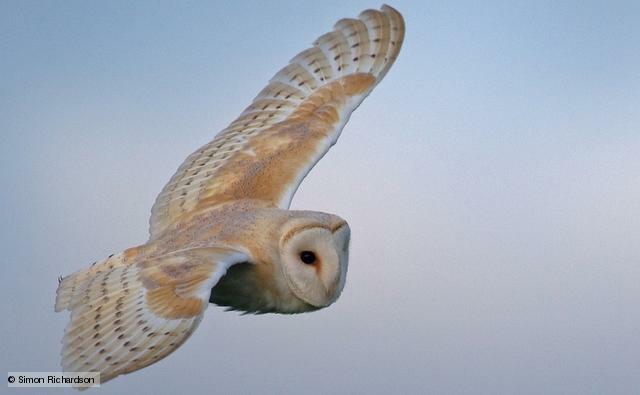 And when I do encounter full-blown problems, Barn Owl often has a save or a solution. As a guide he is knowledgeable of the geography of the Otherworlds. He has led me to the halls of various Powers. Barn Owl has also offered a fair bit of useful information. For example, he helped me to identify a good place to establish my home in Midgard, found out what offerings I needed to give to a few spirits while I was in their realm, and informed me of “local customs” that I needed to be aware of in order to interact/communicate appropriately. Barn Owl has also helped me tremendously by serving as a clerical aid of sorts. It may sound completely ridiculous but he often makes appointments for me in the Otherworld. I have quite unexpectedly arrived at my astral home to find him waiting on the mantle with the message that I need to set out again to meet So-n-So. A few times I came home to him insisting that I was late for an appointment. When we fare forth he leads the way or he perches on my shoulder (an odd sight, I’m sure). He is a constant comfort in my journeying. As I’ve moved along in my magical work, I have worked with Barn Owl in another incredibly useful way: intelligence gathering. I have sent him forth to gather information about a few mundane and spiritual things (e.g. health issues, where to find a particular spirit in real time, etc.). I usually give him his favorite offerings (in quantity) when sending him forth in this way. And when I call him back so that he can report, he has clear information to provide. I like to use a pendulum or other aid to help focus my awareness/intuition. I’m new at this aspect of working with him but I hope to work with him more in this capacity. There is quite a bit that I hope to learn about this particular magical technique!